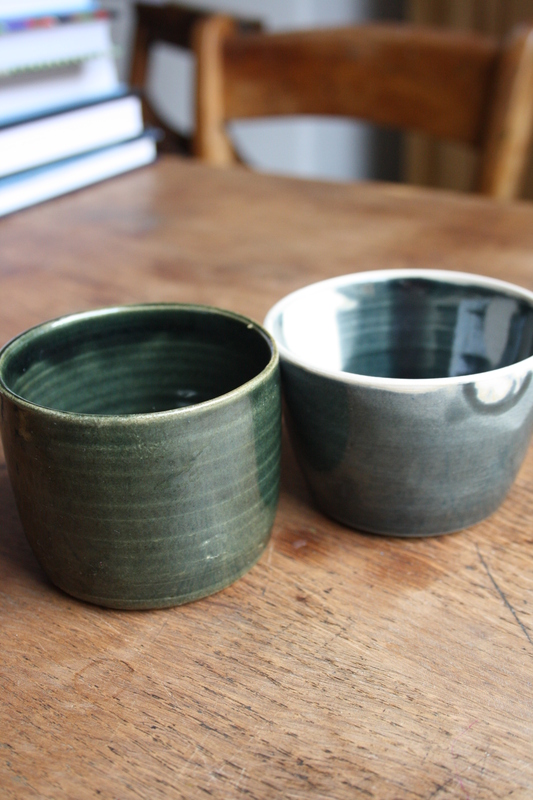 I had a trip out last week to Northern Kilns, who were kind enough to exchange the kiln I had for a newer version. 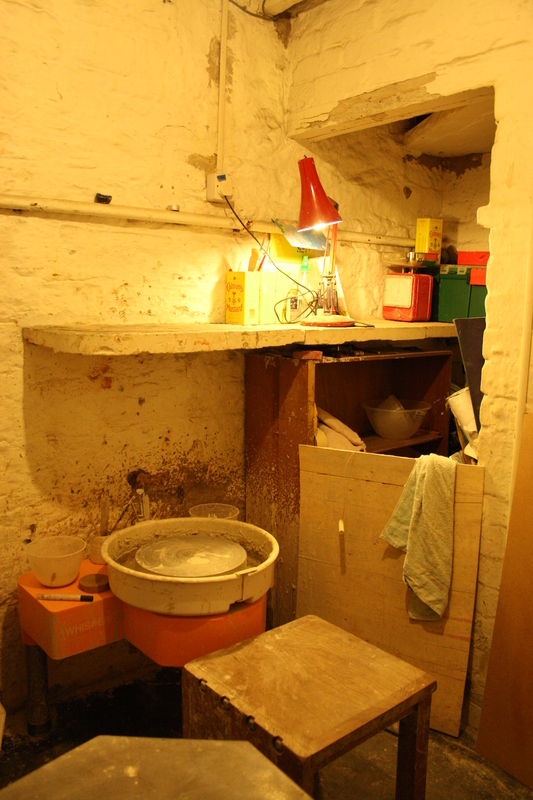 I have been renting my kiln while I find my feet but I think now is the time to buy. When I saw the new kiln, the previous one felt like the equivalent of an old Mark 1 Golf or Ford Cortina: barely enough springs in the seats to make them comfortable and when you look under the bonnet you can see the hard tarmac of the road beneath. No wonder it was struggling to get up to the high temperatures. The new kiln feels like it was built for the job and, even though it is the same size as the other one, it is twice the weight. While I was at Northern Kilns, I had a chat with Dylan about pinholes. 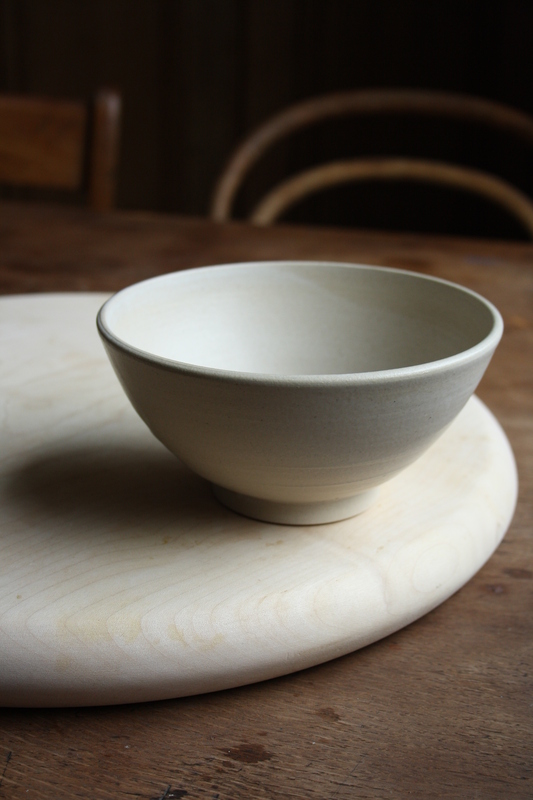 He said it could be anything from dust on the bisque ware to the clay body to underfiring… Virtually anything. 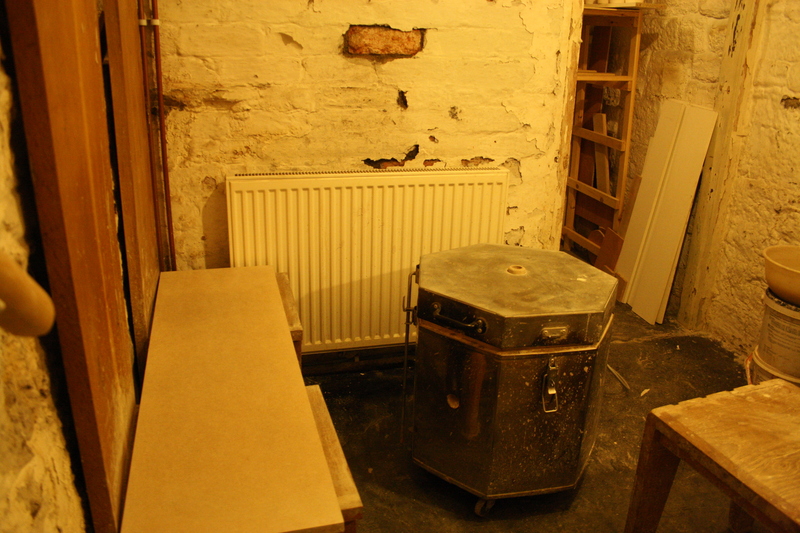 So, I don’t think I’ve totally sorted out the problem but at least I now have a reliable kiln. I’m going to be selling at Reetsweet‘s Valentine’s Fair, at the Corn Exchange in Leeds, on the 11th February. It’ll be my first foray outside of my local town to sell and I don”t think I’m going to know anyone, so I’m quite nervous about it. I want to put my pots in front of a slightly wider audience to see what happens; and I want to meet more makers, have a chat about what works and what doesn’t, find out about how different people and different makers do things. All part of my steep learning curve. I’ve been trying to make some glazes for the pots I’ll be selling in Leeds. I was quite happy with the deep grey and grey/blue that I showed a picture of on a previous post, so I made up a half bucket of each. I exchanged 2.5g of Whiting for Zinc Oxide (to lower the melting point of the glaze and potentially eradicate the pinholes) and, as everything stayed the same, thought nothing more about it. The deep grey became dark green! It was quite a shock and as it was unexpected I didn’t like it at all because I wanted my grey. 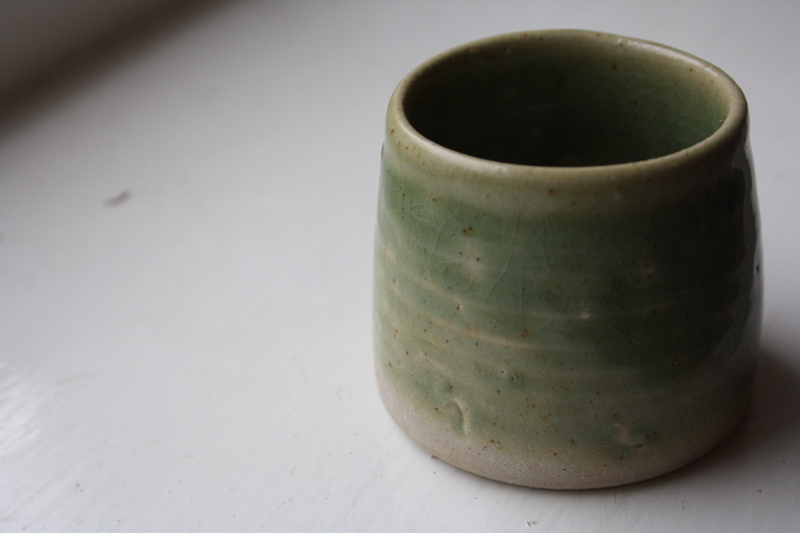 Anyway, I think I quite like it, so it’s staying, and I’ve got a kiln full of pots with it on firing away right now. I got a bit of a surprise with the grey/blue, too. I passed it through a 100 mesh sieve instead 200 and the result is the blue speckles of cobalt which haven’t dispersed in the glaze. Another happy accident, I think; this one will stay, too. In the video of Jim Malone, put together by the Goldmark Gallery, which has a link in the menu on the right of this blog, Malone talks about students being obsessed with the search for finding ‘this illusive and wonderful glaze’ and spending weeks or even months doing glaze tests trying to create it. As a result, ‘they have an idea of what they want in their heads and so they get this blinkered, tunnel vision and all sorts of possibilities pass by them and they don’t see them’. For him, it was all put into perspective when Bill Marshall told him that, ‘it doesn’t matter what glaze a pot’s got on it as long as it has vitality’. It’s been an interrupted time recently, with not as much of it as I would like being spent at the wheel. 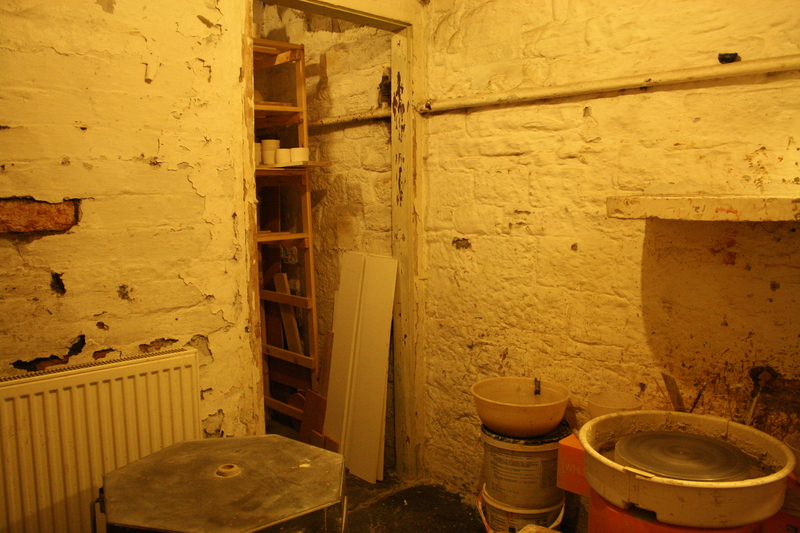 Tomorrow I’m taking my kiln to Northern Kilns over in Lancashire, where I’m going to exchange it for a new one. I hope that this will resolve my under-firing issues. Fingers crossed. 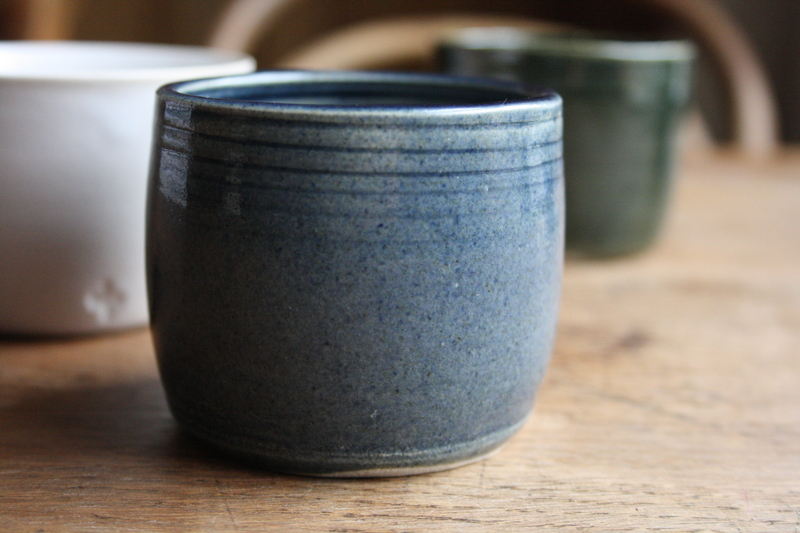 Northern Kilns are a great company, with customer service second to none. 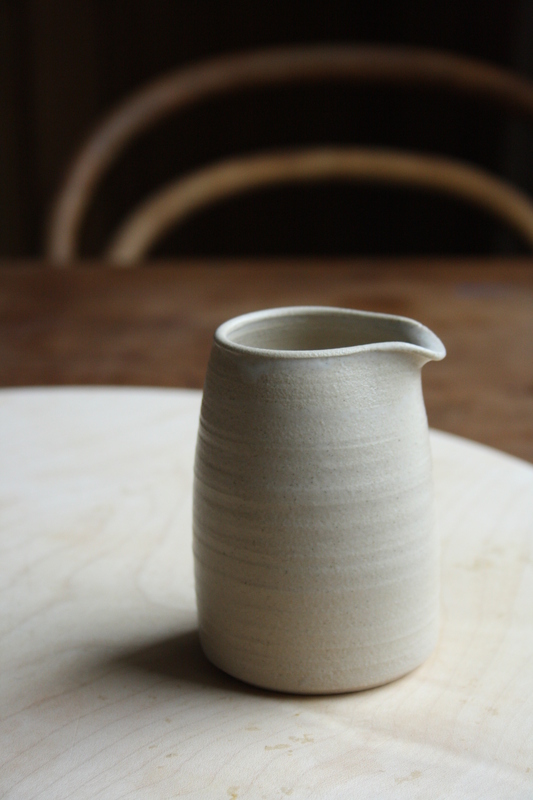 I’ve been reading a fascinating essay by Daniel Rhodes, in A Potter’s Companion, called ‘Pottery and the Person’. It’s a beautifully crafted essay about purpose, acceptance (of limitations) and patience. He writes about how pottery comes out of our urge to form, which is to actualise, make real what was not there before, to create one’s image; and how this impulse is basic to the human condition. In contemporary society, though, there is no means to project ourselves out into the world through objects that we have created. The opportunities for using our hands, for communicating with others through the tips of our fingers, for investigating our own sense of identity through the creation of objects have been ‘thwarted’. Identity is increasingly located in ‘commercialised images on screen or paper, images projected by promoters of a world that does not exist’. Craft, Rhodes says, ‘has become a precious remnant’. Rhodes writes of the way of the artist and craftsperson being a difficult one, alone, cut off from society, with traditions that have become ‘weakened and confused’, struggling to earn a living. He believes that the artist faces ‘insuperable difficulties’ in his ‘heroic’ efforts to assert his ‘original and personal statement’. The potter, he says, has more ‘modest goals’. This is the beauty of pottery and why I find it so engaging. 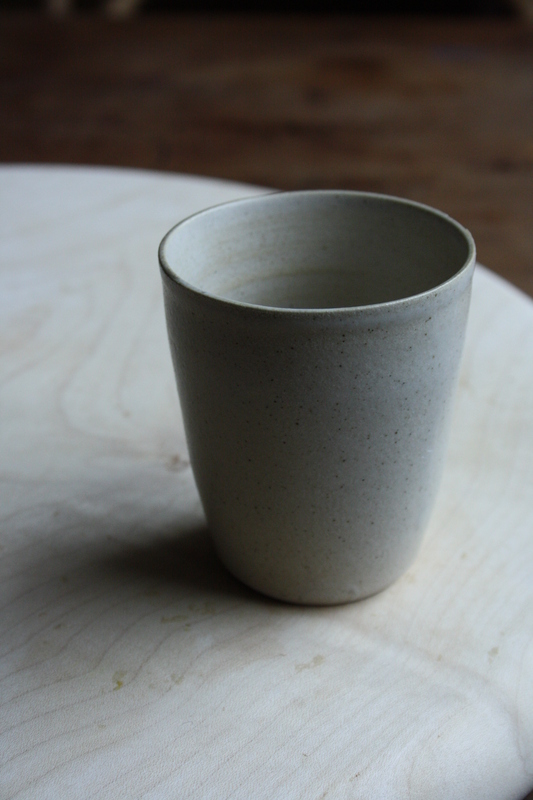 Functional pottery is humble, offering ‘something of utility’. It has limitations, of material and method, which I believe give it strength and vitality. The artist, with no use in what he makes, hopes that someone will be moved by what he has made. 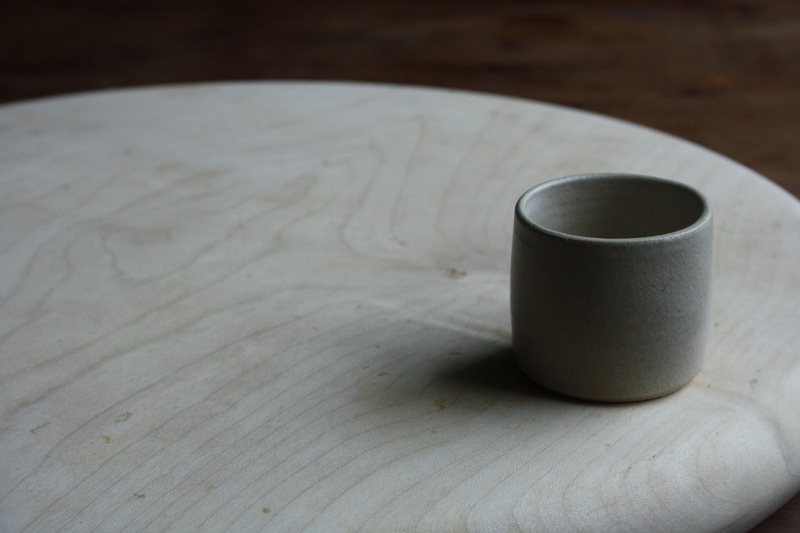 The craftsperson creates something that will ‘function through daily use, through touch, through intimate acquaintance’. It is all very much related to the philosophy of Slow. Let things take their own time and rejoice in what is there at any particular moment. The search for perfection is illusive but beauty can come from what is already before you. ‘As in the growth of plants, the emergence of forms from the hands proceed in small steps, gradual unfoldings. One must be satisfied with small gains, evolution rather than sudden revelation’. 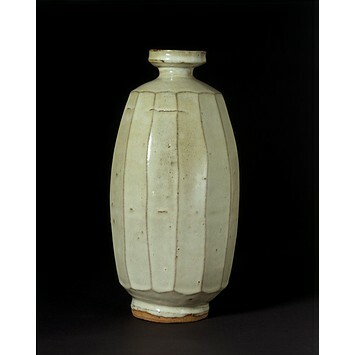 Two pots made by Shoji Hamada, a Japanese potter Rhodes discusses in his essay and found to be hugely impressive. 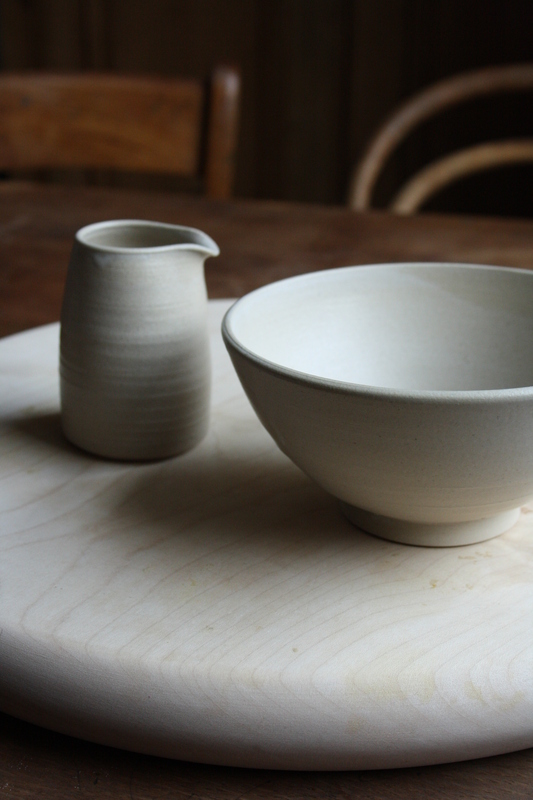 One of the tasks for the winter has been to develop a set of glazes that I feel are mine. When I started making glazes for the first time in the summer of last year, I bought an Emmanuel Cooper book of glaze recipes and began from there. I found it to be a bit like scrabbling around in the dark and not being able to find the light switch. Every glaze I made crackled, so to compensate I thinned the glazes down until they flowed like water, which succeeded in getting rid of the crackle but the glazes were not as they should have been. I didn’t know how they should have been. This is an image taken from an earlier blog post. 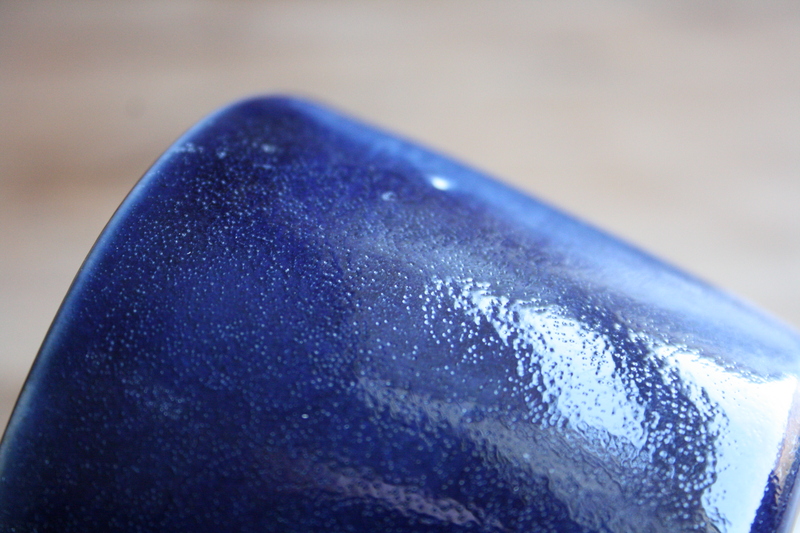 It is a gorgeous colour but the crackle is no good if I am making tableware. What I was looking for was a shiny glaze but all the ones I was making were rough and scratchy. Just before Christmas, I bought Linda Bloomfield’s new book on glazes, called ‘Colour in Glazes’. In there I found a recipe for a shiny base glaze (potash feldspar 27, whiting 21, china clay 20 and flint 32) fired to 1260 degrees centigrade and I’ve been trying it out. 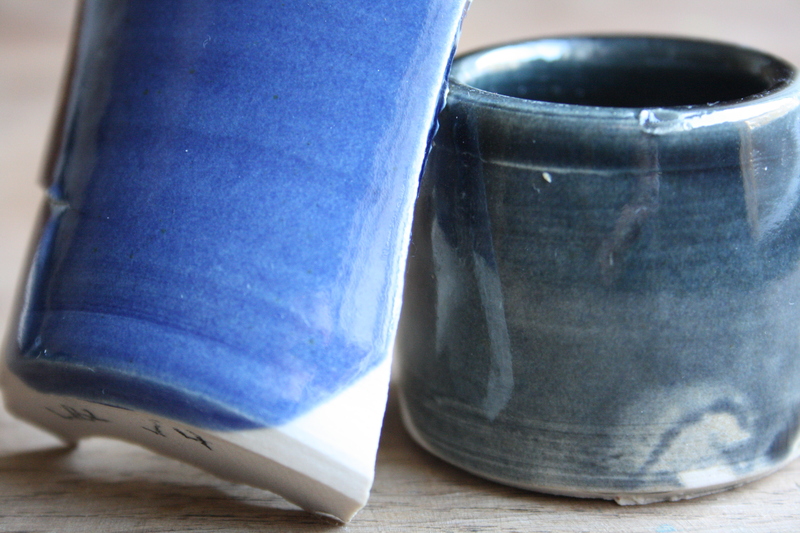 It is much more what I’m looking for and I think I might have found at least one glaze that I love and want to use. My problem, though, is pinholes. This is how the glaze is going on, although the thicker the glaze is applied the more air bubbles there are (the left hand side has been double-dipped). And this is how it is coming out. Not great. In Bloomfield’s book, she says that you can eradicate pinholes by soaking for 15 – 35 minutes or exchanging the whiting (it emits carbon dioxide gas during the firing) for wollastonite and reducing the quartz. 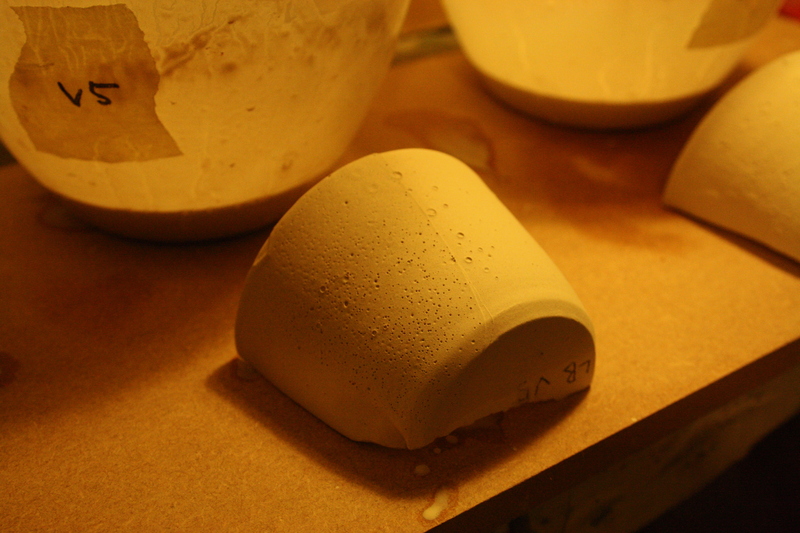 I am having some trouble with my kiln, which is not reaching the top temperature, and I’m not sure if it is soaking. 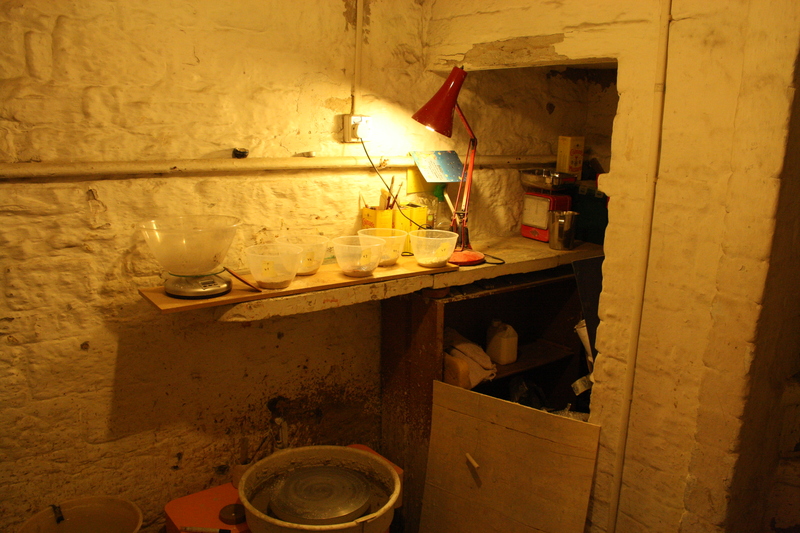 Hopefully, this will be sorted out on Thursday and then I will have an accurate idea of the temperature the kiln is reaching and whether it is soaking or not. If the pinholes remain, I will try wollastonite. In the meantime, I am thoroughly enjoying playing around with the various oxides. 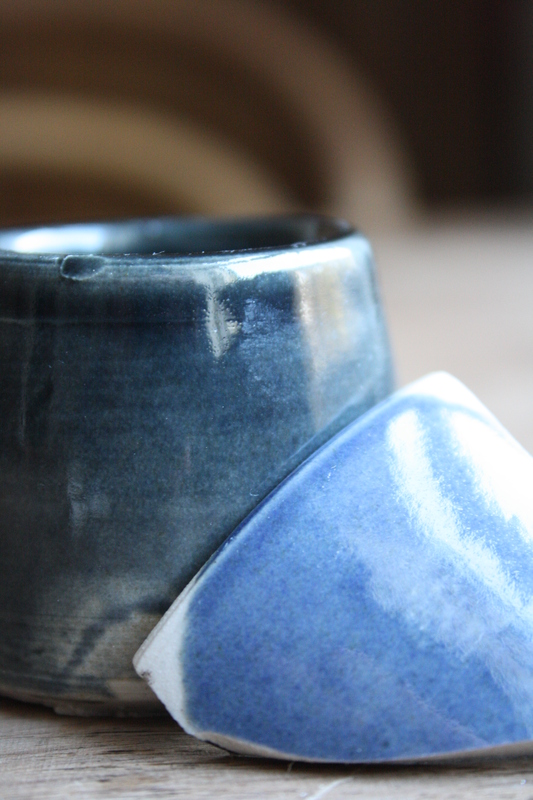 I took some new photographs of my pots this morning, as I am applying for various fairs. Below is a small selection. The beautiful board the pots were photographed on is a cheese board made by Hugh Leishman. Happy New Year to you. I hope that the coming year brings you all good things. It has started for me with a tidy up of the workshop. I have put all my glaze materials and oxides in buckets and tubs, and cleared away lots of my old artwork and paraphernalia from the corner under the stairs, to the right of my wheel. Clearing away that corner has felt like it has opened the workshop right up, giving me much more space. This is undoubtedly psychological but, still, it has made a big difference to my working environment. Clearing the corner, enabling me to use the whole of the stone shelf properly, has also provided me with a new glazing area. It’s all very compact, very neat; all I need within arms’ length. Nothing more, nothing less. and go on glowing for long years. You are currently viewing the archives for January, 2012 at The Hopeful Potter.